100% Cashmere Wrap ''Adena'' Classic Luxury Azure Blue 72''x36'' Wrap by Lucky Bird Cashmere at Laurenee Lifestyle. Hurry! Limited time offer. Offer valid only while supplies last. 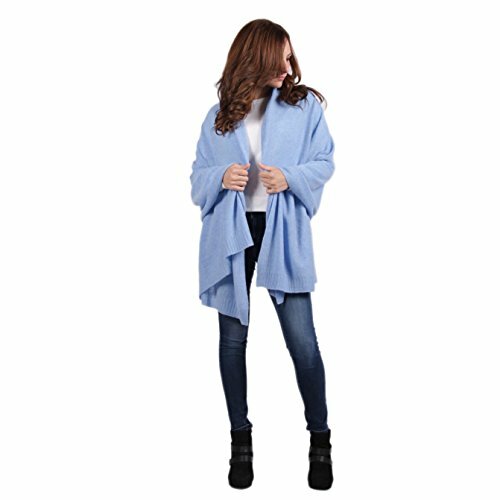 This upbeat azure blue classic wrap combines luxuriously soft pure cashmere for comfort and warmth with a vibrant color to lift spirits on grey days. This upbeat azure blue classic wrap combines luxuriously soft pure cashmere for comfort and warmth with a vibrant color to lift spirits on grey days. A perfect antidote to the winter blues and celebration of blue skies and summer days out at the seaside. It's one of those colors that just makes people relax, and ease through the day. Heaven! Your wrap will arrive beautifully wrapped in our signature LUCKY BIRD box. If you have any questions about this product by Lucky Bird Cashmere, contact us by completing and submitting the form below. If you are looking for a specif part number, please include it with your message.